The Episcopal schools in the Diocese of Texas serve over 11,000 children and their families with enriching programs from Pre-K through High School. It is the mission of the Diocese to ensure that our schools are healthy, safe environments in which children can learn, grow and thrive. 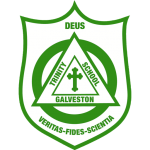 Trinity Episcopal School will have a Safeguarding God’s Children class on Tuesday, February 26th at 6:00 pm in Kelso Library. This class is beneficial for any parents that want to keep their child safe from sexual predators. Anyone who plans to be on campus (volunteer, chaperone overnight trips, drive for field trips, lunch monitor, etc.) more than 6 hours this year needs to be Safeguarding Gods Children (SGC) certified. You cannot show up on the day of the class to be certified without completing these steps. Rachel Brown will be the contact person for completing the steps and registering for the class. Please message Ms. Brown at rbrown@tesgalv.org to reserve your space. If you are unable to attend the February class, we will offer another class on campus sometime this summer. You are also welcome to check the Diocese website and find an open class at another church/school. Volunteers are responsible for the cost of their background check.